While the subject of whether a caravan needs a water filter rages on in the caravanning world, there’s no doubt that a considerable amount of people like to know that the water they’re drinking from their caravan site is of good quality. Some caravaners prefer reassurance that when they are away from home, more so when they travel overseas, the water source they’re using is safe to drink. Many people feel the differences in the water available on the main tap in a caravan park, compared to that back home, are too apparent and therefore prefer to remove the chlorine taste from it and any possible unpleasant odours they feel are present in the current supply. Overall, the decision of whether to place a water filter in your caravan usually boils down to personal choice. However, there’s no denying that having a clean supply of fresh drinking water on tap throughout your stay in the van is indeed a bonus and one less thing to worry about each time you pull up to a different site. If you’ve been thinking about purchasing a water filter for your next trip in the caravan, here are five of the best products that we have picked out for you on Amazon. Used by caravanners and motorhomes alike, these are favoured by those who like to rely on clear good tasting water each time they turn on the taps in their caravans. Whale Aqua provides an Aqua Clear Source Carbon Water Filter System which is designed and manufactured to their company’s high industry standards. This well-known brand has produced a white 15 mm water filter system which may only weigh just 281 g but offers a powerful and innovative filter, which is solely designed for use in the caravan. With the ability to remove any unpleasant taste present in the water, alongside any smells, this filter gets to work on the board tanks. 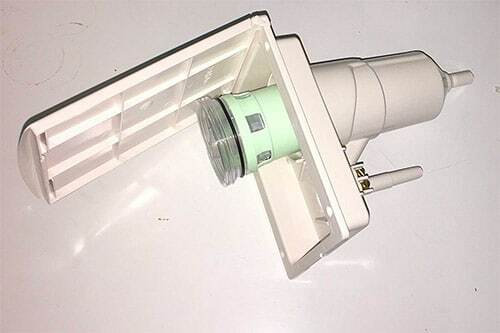 With a simple installation process using the clips conveniently supplied with your purchase, this filter can be connected in next to no time. Whether you prefer to mount your filter vertically or horizontally, the Aqua Source Carbon Filter is a maintenance-free design, ensuring you can just fit and go. With the general assumption that this is fitted under the sink in the freshwater plumbing pipework, these filters can last around 4500 litres or one full season. 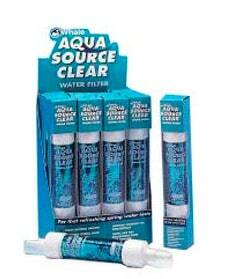 Customers who purchase the Aqua Clear Source Carbon Water Filter give this product some excellent reviews, mainly for its ease of installing and the fact that it lasts for a reasonable length of time, particularly as it is incredibly cheap to buy. Royal offers an F101R Rechargeable Water Filter system which they consider to be one of their more premium of products. Designed to be used with the Carver/Truma Crystal MK 1 and MK 2 Housing this rechargeable filter is simple, reliable and economical and is hassle-free to set up. By unscrewing the old filter, this product doesn’t require adaptation when replacing, it merely replaces your old cartridges. Designed to eliminate any possibility of carbon escaping into the water system, it works at reducing potential damage to pressure switches and pumps. Furthermore, this is a more environmentally friendly product due to its ability to recycle the significant plastic parts of the filter. The quality used in this water filter’s carbon is of the highest standard and ensures perfect drinking water each time through trapping and killing bacteria for as long a time a possible. Royal recommend that this filter is replaced after 30 days of use or after 12 months, whichever is sooner. Customers purchasing the Royal Rechargeable Water Filter find it a straight-forward product and simplistic replacement process overall, doing the job it claims to do each time. Water Filter Man’s Water Filter Cartridge is a universal in-line model which is perfect for fitting under the sink in the caravan. Claimed to be compatible with any of those water filter systems which use a ¼” or 3/8” of diameter tubing, customers can select from two appropriate sizes here when ordering to get their required product. These filter types are said to be amongst some of the most reliable on the water filter market as well as being incredibly simple to change. Using push fittings, there are no screw fittings required for these cartridges. Aimed at working hard to remove all levels of chlorine, heavy metals, chloramines, PCBs and THMs present in the water, they also help reduce scaling. Additionally, these cartridges balance pH levels with their added minerals. The overall idea of Water Filter Man’s Water Filter Cartridge is to reduce odours, add minerals and ultimately improve the taste of the water supply. Using a high-quality carbon alongside KDF filtration methods, it also works at providing antibacterial control throughout. With an impressive 12-month filter life included, because of this KDF presence, these water filter cartridges offer a 1500-gallon capacity. Customer ratings for these filters are extremely positive, suggesting that this product type is long-lasting and provides some great tasting water at a great overall price, with many claiming they’ll never buy another product type after using this one! 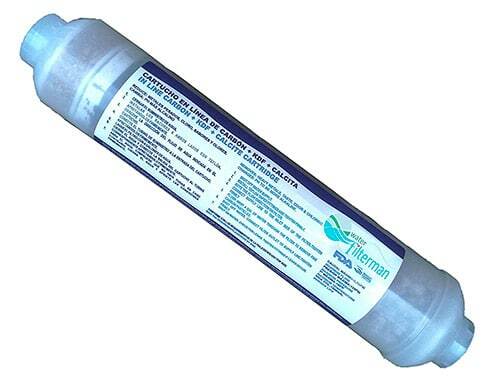 The Filtapac Truma Carver MK2 Crystal Water Filter Cartridge and Seal is a simple design which offers caravaners a universal fit. This model works at filtering the water into the caravan and in turn making it drinkable. Reliable and straightforward, this is a more economical product which is easy to replace in a matter of seconds. With an active carbon filter which is comprised entirely of natural products, it aims to remove odours, colouring and unpleasant tastes. Customers purchasing this model feel it is one of the more simplistic of water filter models to fit, claiming it does the job just as described each time. 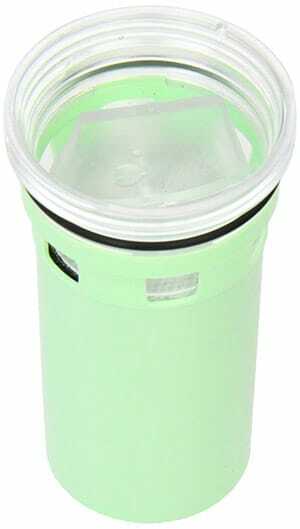 Filterpac offers a slight variation on the above filters, which is predominately a direct caravan water filter replacement model for the now discontinued Carver Crystal MK2. Priced at £44.29, it’s also one of the more expensive of products reviewed here, but as a complete replacement unit, its high quality and overall value are reflected in this cost. Aimed to be used as a direct replacement for Carver Crystal 2 or Truma, this water inlet, filter housing, and filter is designed to sit straight into the hole already made by the previous water filter. Available in a choice of two colours, consisting of ivory and white, the measurements for this water inlet are 175 mm x 125 mm approximately with the channel requiring a hole size of 145 mm x 100 mm. 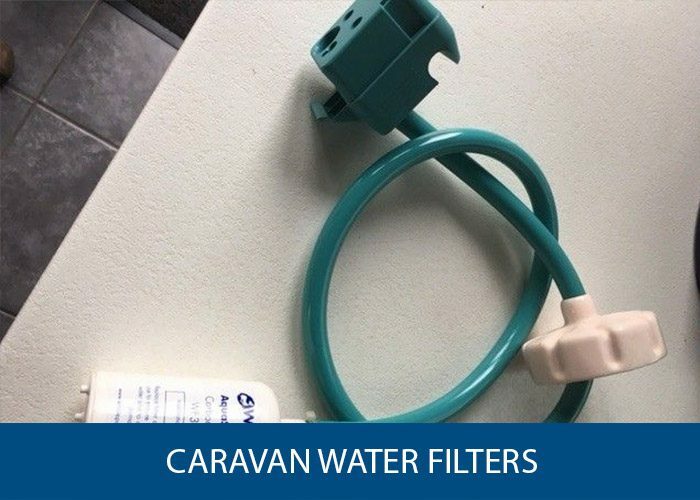 Customers who purchase this caravan water filter replacement water inlet find it perfect to replace and fit and believe it does the job it’s meant to do with ease. For many, this is merely a straightforward caravan water filter replacement of the older model type. One of the major issues that caravan owners have with water filters, especially Trauma Ultraflow and Crystal 2 filters is that they can be rather difficult to remove. 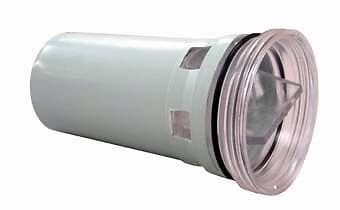 Sure, you can use some elbow grease, and hot water, but you could run the risk of damaging the filter housing. 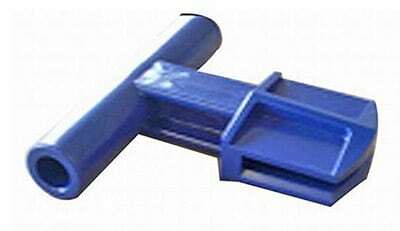 This plastic tool is a genuine Trauma item made from plastic and designed to help remove Crystal 2 filters. The online reviews for it suggest that it does exactly what it says on the tin. Though there are no hard and fast rules about whether you should or should not use a water filter in your caravan, there’s no denying that some caravanners like the peace of mind it offers when they travel from site to site. With all these water filters reviewed here well under the fifty-pound mark, they are also adequately priced enabling those who are thinking about using one the chance to purchase a model cheaply and give it a go. Overall, it’s also said by many that do use caravan water filters regularly in their vans that once you start using these products, you’ll never be without one ever again!